With so many economic and political issues growing more pressing by the day, Social Security's eventual runaway debt demise is the archetype of a 'kick the can down the road' issue. After all, the wheels aren't projected to truly come off until 15+ years from now. Which in current political discourse squarely falls into the basket of "Some other future politician's problem." But with most seniors relying on it for almost all of their expenses, most of a generation will be looking at a stark reality. And as Baby Boomers move into their 80s, 90s, and beyond, their Medicare bills can also be expected to skyrocket. 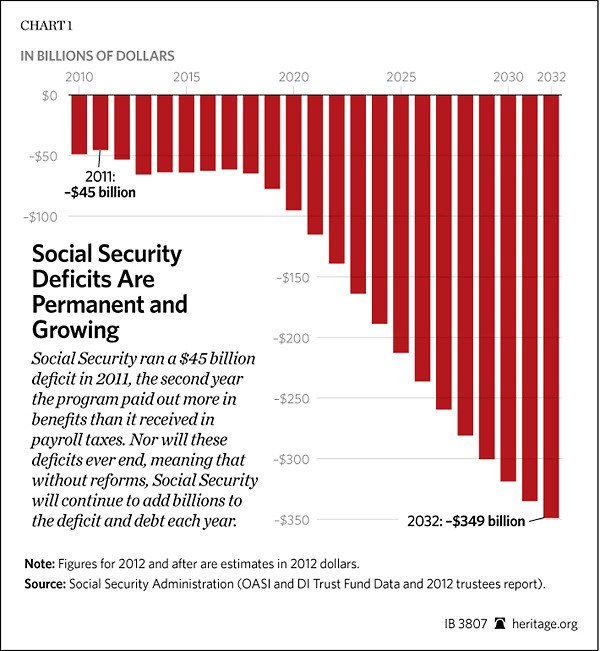 Social Security was never intended to be the sole income of retiring seniors. It was meant to supplement approximately only 40% of post-retirement spending. Social security was supposed to enhance seniors’ lives, not support it entirely. 43 percent of unmarried seniors rely on Social Security to cover 90 percent of their basic needs. Almost a quarter of married couples depend on Social Security to meet most of their expenses.